The Dora & Diego Toddler Adventure obstacle course really does have it all for Dora and Diego fans! 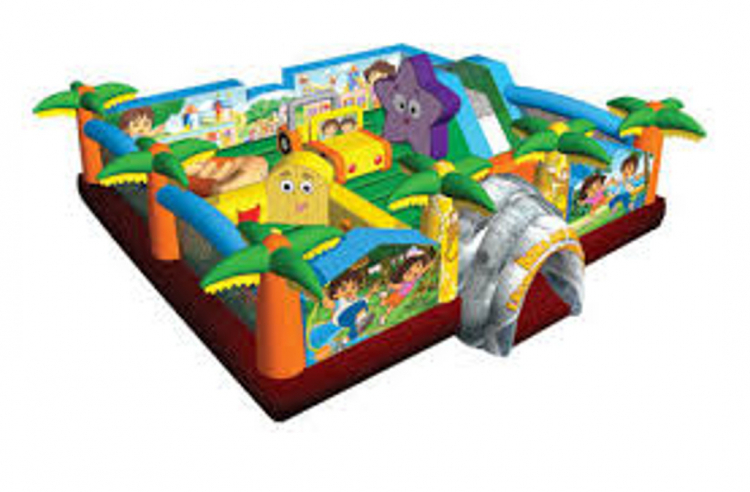 In this bounce house, small children can crawl their way through tunnels, hop over obstacles, and even play in an area that can be turned into a ball pit. There are interactive educational games around every corner, such as ‘Matching Numbers’ and ‘Complete the Pictures.’ There is even a little slide designed to be easy for your toddler to climb up and slide down to a safe and fun bouncy landing! Your little party guests will be filled with joy over the excitement the Dora & Diego Toddler Adventure obstacle course playhouse will bring!